Any seriously thinking and concerned Filipino will note that the dominant orthodoxy is globalization aka neoliberalism supposedly for us to economically catch-up , to attain economic/material progress --for an underdeveloped country like ours. Any young Filipino who takes a course in political economy/economic development essentially obtains exposure solely in the gospels of Adam Smith and David Ricardo, i.e. the "market system" with its"invisible hand," and "comparative advantage," respectively. Throw in the anti-communist manifesto of Walt W. Rostow with his ideas to reach "economic take-off" as described in his very simplistic accounting of economic history "Stages of Economic Growth" -- They comprise the capitalist economic dogma that is constantly preached as THE only way to progress for less-developed countries (LDC) or underdeveloped countries like our homeland to escape poverty, to making economic miracles, to better standard of living. We native Filipinos as students or practitioners of economics vaguely knew or never heard of Friedrich List , the German nationalist/economist who welcomed the Industrial Revolution and its socio-political and economic consequences but rejected the dominant economic free trade theory that had developed in the West to explain and legitimize the new order. List saw the benefits accruing from free trade, but also was aware of the gains derived from protection; the protection practiced for decades to reach world dominance by then Great Britain. France and Holland. Karl Marx, who saw nationalism as a bourgeois ideology, later mercilessly criticized List's theory as reactionary. Apparently, Marx never appreciated that a national bourgeoisie, which fought for capitalism in a backward country still dominated by feudalism might be progressive Marx dismissed as reactionary to develop an economic theory that reflected the national needs of less developed countries (Germany at the time of List and him) in their transition to capitalism and in their opposition to advanced capitalist countries. I add that Germany and the United States pursued and practiced what List advocated; of course, the United States upon attaining world power status at the start of the 20th century, never mentioned List as decidedly instrumental to its economic success and present economic dominance (check out the textbooks); Japan and now mainland "Communist" China practiced /still practice at varying degrees what List theorized. The knowledgeable Filipino knows that our technocrats were early signatories to the secretive agreements/negotiations with the WTO and its trading rules (replacing the GATT)--the organization created in 1995 by the rich countries led by the G7 club and enforced by the IMF and WB combo ostensibly founded to help the poor countries towards development. With the signing, our national economy and patrimony were opened to foreigners, multinationals (without/without native partners and local, resident aliens), our nascent nationalist entrepreneurs/industrialists either discouraged or decimated. With those native capitalists "left standing" forced to leave productive industries and concentrate on rent-capitalism and other risk-averse ventures; and thus overall the outcome for the next 14 years hence to the present are and foreseeable future shall be full of the same punishments:deeper, greater and wider impoverishment to our majority, of fellow native Filipinos. It is safe to say that all of our rulers in government, educational institutions, so-called business leaders and military have knowingly/unknowingly followed and continually perpetuate the belief in absolute, unregulated capitalist economy (not the mixed economy we had prior to the Marcos Dictatorship) which led the native majority to economic perdition and consequent socio-political and overall cultural malaise (as economics greatly influence our human behavior). Notice that the current socioeconomic-political upheavals in the so-called advanced or developed world, though on a higher plane, are now experiencing what we natives in the poor, underdeveloped and regressing Philippine homeland went and are still going through, all thanks to economic globalization. In hindsight, what Vladimir Ilich Lenin predicted in his book "Imperialism - the Highest Stage of Capitalism" seems to be materializing; if not already have materialized/realized. All these punishments will be endlessly worsening for the born and unborn native Filipino generations. 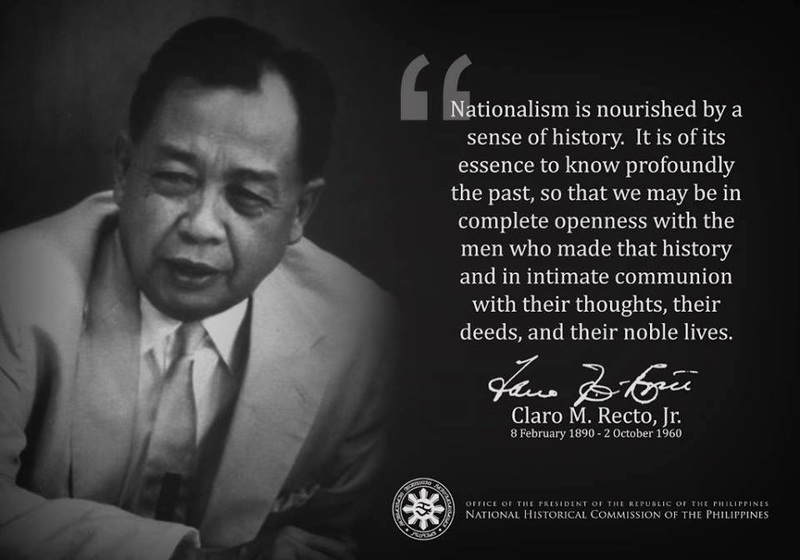 Unless native Filipinos in the homeland become educated, raise their nationalist consciousness, understand and become united to act against our technocrats and rulers with their foreign partners/sponsors ( resident foreigners and transnational corporations (TNCs) who maintain and spread lies and who obviously have much to gain from our dumbing down and resultant massive ignorance and disunity. Below is an eye-opening article, a recent find including its highly regarded and influential Korean author Ha-Joon Chang, Professor and Director (specializing in) of Developmental Economics at the University of Cambridge (England). I have just started reading his works and have found his factually-based analytical publications highly recommendable to those who seriously want to learn and understand the truth about economic history in the Western world and the Asian economic miracles of recent decades and compare where our homeland and our people are after religiously following and doing what our so-called westernized, essentially Americanized, minds dictated. Between the Civil War and the Second World War, the U.S.A. was literally the most heavily protected economy in the world. In this context, it is important to note that the American Civil War was fought on the issue of tariff as much as, if not more, on the issue of slavery. Of the two major issues that divided the North and the South, the South had actually more to fear on the tariff front than on the slavery front. Abraham Lincoln was a well-known protectionist who cut his political teeth under the charismatic politician Henry Clay in the Whig Party, which advocated the “American System” based on infrastructural development and protectionism (thus named on recognition that free trade is for the British interest). Criticising the British preaching of free trade to his country,Ulysses Grant, the Civil War hero and the US President between 1868-1876, retorted that “within 200 years, when America has gotten out of protection all that it can offer, it too will adopt free trade”. The UK and the USA may be the more dramatic examples, but almost all the rest of the developed world today used tariffs, subsidies and other means to promote their industries in the earlier stages of their development. Cases like Germany, Japan, and Korea are well known in this respect. But even Sweden, which later came to represent the “small open economy” to many economists had also strategically used tariffs, subsidies, cartels, and state support for R&D to develop key industries, especially textile, steel, and engineering. There were some exceptions like the Netherlands and Switzerland that have maintained free trade since the late 18th century. However,these were countries that were already on the frontier of technological development by the 18th centuries and therefore did not need much protection. Also, it should be noted that the Netherlands deployed an impressive range of interventionist measures up till the 17th century in order to build up its maritime and commercial supremacy. Moreover, Switzerland did not have a patent law until 1907, flying directly against the emphasis that today’s orthodoxy puts on the protection of intellectual property rights (see below). More interestingly, the Netherlands abolished its 1817 patent law in 1869 on the ground that patents are politically-created monopolies inconsistent with its free-market principles – a position that seems to elude most of today’s free-market economists – and did not introduce another patent law until 1912. The central bank, an institution dear to the heart of today’s free-market economists, did not exist in most of today’s rich countries until the early 20th century – not least because the free-market economists of the day condemned it as a mechanism for unjustly bailing out imprudent borrowers. The US central bank (the Federal Reserve Board) was set up only in 1913 and the Italian central bank did not even have a note issue monopoly until 1926. Many countries allowed patenting of foreign invention until the late 19th century. As I mentioned above, Switzerland and the Netherlands refused to introduce a patent law despite international pressure until 1907 and 1912 respectively, thus freely “stole” technologies from abroad. The examples can go on. One important conclusion that emerges from the history of institutional development is that it took the developed countries a long time to develop institutions in their earlier days of development. Institutions typically took decades, and sometimes generations, to develop. Just to give one example, the need for central banking was perceived at least in some circles from at least the 17th century, but the first “real” central bank, the Bank of England, was instituted only in 1844, some two centuries later. It did not have universal suffrage (it did not even have universal male suffrage), a central bank, income tax, generalised limited liability, a generalised bankruptcy law, a professional bureaucracy, meaningful securities regulations, and even minimal labour regulations (except for a couple of minimal and hardly-enforced regulations on child labour). If the policies and institutions that the rich countries are recommending to the poor countries are not the ones that they themselves used when they were developing, what is going on? We can only conclude that the rich countries are trying to kick away the ladder that allowed them to climb where they are. It is no coincidence that economic development has become more difficult during the last two decades when the developed countries started turning on the pressure on the developing countries to adopt the so-called “global standard” policies and institutions. First, the historical facts about the historical experiences of the developed countries should be more widely publicized. This is not just a matter of“getting history right”, but also of allowing the developing countries to make more informed choices. Fourth, improvements in institutions should be encouraged, but this should not be equated with imposing a fixed set of (in practice, today’s – not even yesterday’s – Anglo-American) institutions on all countries. Special care has to be taken in order not to demand excessively rapid upgrading of institutions by the developing countries, especially given that they already have quite developed institutions when compared to today’s developed countries at comparable stages of development, and given that establishing and running new institutions is costly. Ha-Joon Chang, “Kicking Away the Ladder”, post-autistic economics review, issue no. 15, September 4, 2002, article 3. Imperialism continues simply by the political capture of weak states strategic institutions that regulate finance, trade and so called national currencies. The Filipino is still a very superficial and artificial cultural construct who does not have a soul for country. HVRDS, Thank you for your comment. I agree with you that by capturing the Filipino minds that work, operate and control the various institutions in our homeland. Neoimperialism [aka neoclassical liberalism aka globalism]has profited extremely well for the foreign transnationals (TNCs -who in turn essentially now control/use their governments) and their native, partners. Protectionism is a government/official policy designed to protect native, infant industries, native businesses until they flourish and face the world so to speak. It can be used whether one is following communist, socialist, capitalist or mixed economy. The bottom raison d'etre is to develop a strong national agriculture and industry before anything else. And the strongest motivation and action for such would be a strong Filipino nationalism. THE FILIPINO MIND blog contains 542 published postings you can view, as of April 18, 2012. Go to the sidebar to search Past & Related Postings, click LABEL [number in parenthesis = total of related postings]; or use the GOOGLE SEARCH at the sidebar using key words [labels, or tags] for topics of interest to you. OR click a bottom label or tag to open related topics.